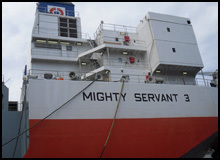 Following an intensive installation, testing and commissioning period, Mighty Servant 3 is now preparing for sea trials. 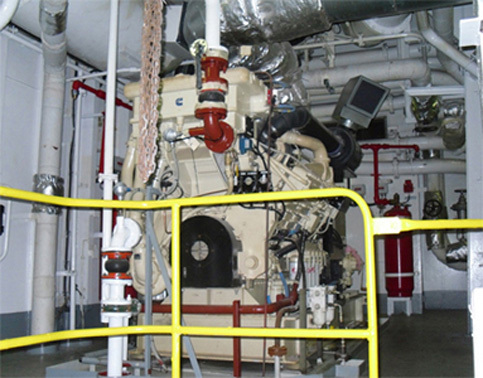 The above photos represent over 18 months of engineering and installation for which R&B have re-designed and integrated most of the major electrical plant on board the ship. During the next few days R&B and other major contractors including Bond Instrumentation will be fine tuning the systems in prepararion for the sea trial and eventual handover of the vessel. 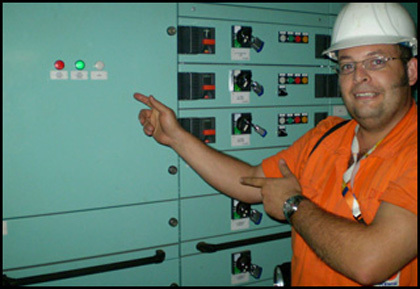 Today 2nd Oct 2008 was a remarkable milestone in the life of Mighty Servant 3, as of today she has her own Electrical Distribution Network System back up and running, following the successful commissioning of the low voltage switchboards. 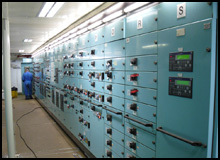 Up until today the power supply had been distributed around the vessel with temporary cables for lighting and power requirements. Dockwise personnel were in attendance for the official switch on, and Diederick Muijsson shows his personal enthusiasm for this remarkable milestone. 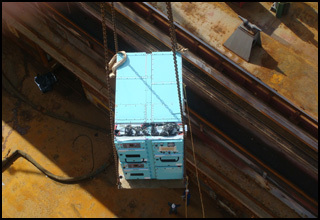 Images of the new 850Kw diesel generator being carefully lowered into its final position. 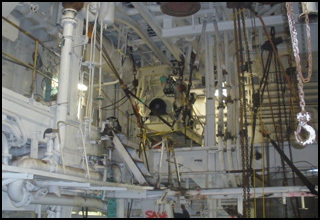 In order to get it there it had to be maneuvered through the engine room and up two levels, past various other items of equipment, using no more than chain blocks and the skilled riggers from the Grand Bahama Shipyard. 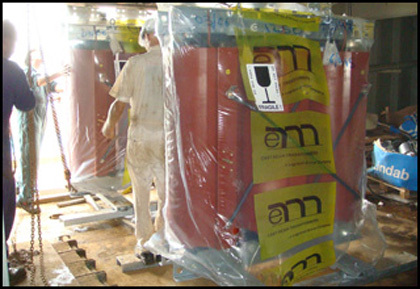 Mighty Servant 3 Hv Switchboards are now on site, and being carefully loaded on board. 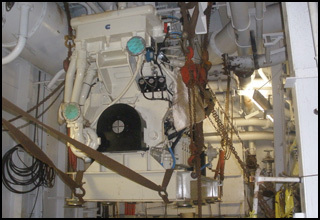 They are sent into the heart of the ship to the 'ECR' Engine control room and will get there by being lowered down through the funnel space. 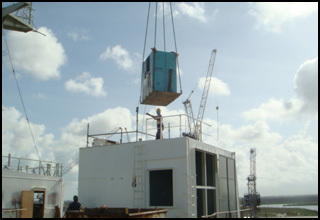 A well organised lifting and maneuvering procedure being carried out by Grand Bahama Shipyard personnel. 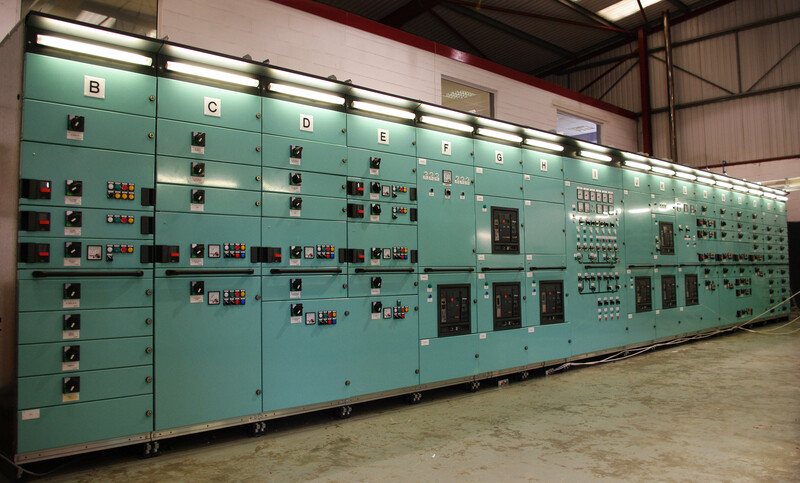 Main 6000v Switchboard now complete and ready for dispatch. 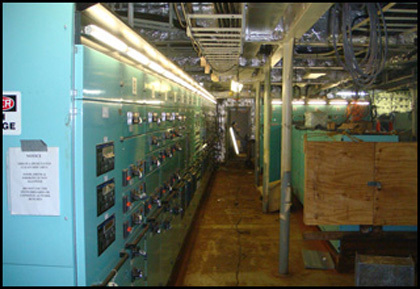 Mighty Servant 3, 2 in number 6000 volt transformers being loaded on board into the room adjacent to the transformer room. At 3.5 tonnes each, they take considerable handling to get them into their final positions. 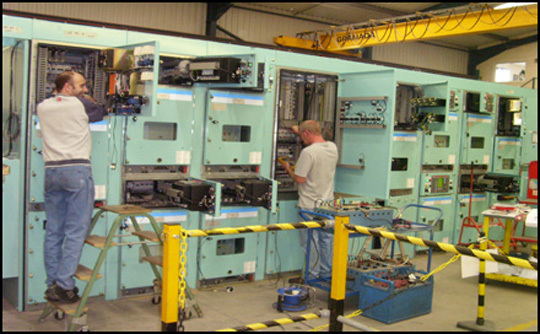 Main 440v Switchboard currently awaiting dismantling following it's successful factory acceptance test procedures. 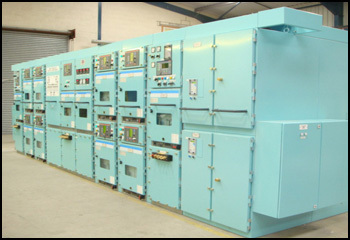 The 6000v Hv Switchboard undergoing final tests and inspections following the successful factory acceptance test procedures. 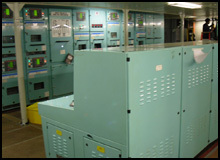 Once completed the switchboard will be dismantled into single sections for shipment to the Grand Bahamas and the process of build up and re-testing will commence once again. Prolog: M/V Mighty Servant 3 had just completed a dry tow around the world from Trinidad Tobago to Angola with drilling platform GSF Aleutian Key. 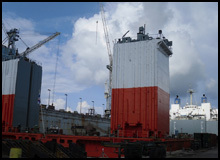 The drilling platform was about to be discharged from the heavy lift vessel, but as she semi-submersed to float off her deck, an unexplainable problem causes the ship to unstable, in short time the vessel became completely submerged under water. The vessel was resting at the bottom in approximately 52 meters of water. 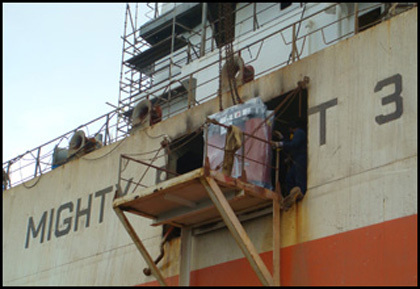 SMIT Salvage conducted a complete diving survey prior to removing the vessel's bunker oil and pollutants. 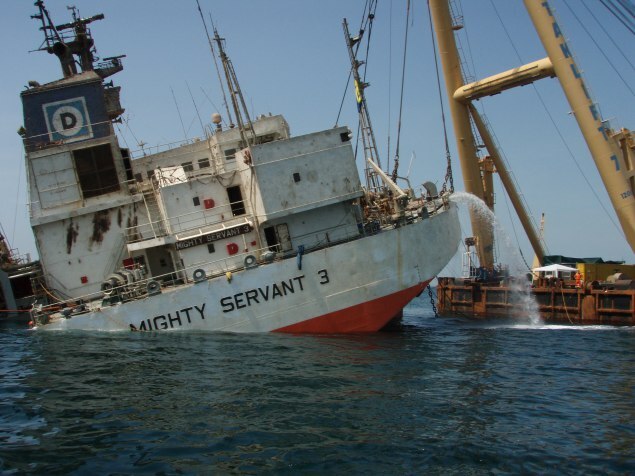 Moreover SMIT Salvage was contracted to salvage M/V Mighty Servant 3 in order to give her a second life. 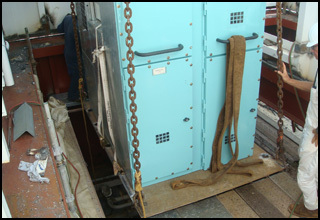 M/V Mighty Servant 3 was salvaged by means of Sheerlegs Cranebarge Taklift 7 and by pressurizing the various compartments with compressed air. The vessel was fully de-watered and successfully redelivered to the owners. 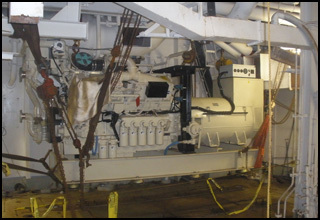 Following the uprising of the vessel R&B Switchgear received an order to completely replace all switchgear and electrical services on M/V Mighty Servant 3. 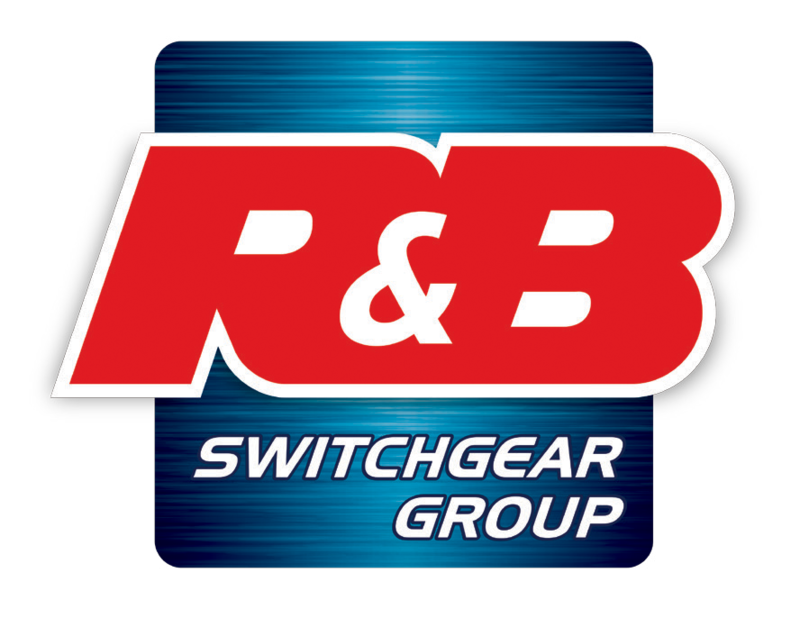 In all of R&B's history, this is one of the biggest challenges ever to have taken on, we take great pride and responsibility in this mighty task.